This series of medical texts aims to introduce medical students and junior doctors to core areas of medical training. 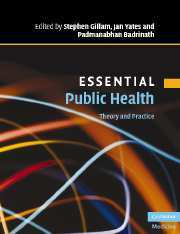 Each book provides an accessible account which spans basic science, key concepts and clinical issues. The books are illustrated in two colours throughout They have all been written by highly experienced authors with a firm background in the discipline and who have first-hand teaching experience. These texts are designed to provide a complete self-contained account that is clear, concise and readable. Where appropriate, ancillary material such as further reading and problem-based learning exercisers are used to supplement the text. Learning medicine has never been easier!